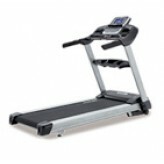 The Endurance T3 Treadmill has many features you would expect to find in a much more expensive machine. 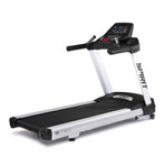 It is an ideal choice for cost-conscious people focused on getting a top cardio work- out in the comfort and convenience of their own homes. 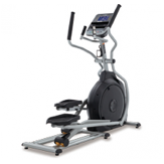 The solidly built Endurance T3 is designed to help you achieve your fitness goals and provide many years of reliable service and challenging, flexible programs. heart rate control, the Endurance T6i makes an ideal choice for people serious about their workouts and dedicated to their achievable goals. Now you can march to the beat of 25 state-of-the art fitness programs designed by some of the industry's top athletic train- ers, targeting your optimum performance levels for running, endurance, distance, fat burning, cardio fitness and more. 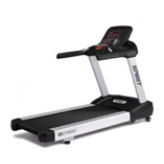 With all the top features of our finest treadmills, including Heart Rate Control, the Endurance T10HRC is the quintessential choice for discerning athletes and dedicated running enthusiasts. If you value your personal space as much as you need a high quality personal fitness routine, the Endurance TF3i Folding Treadmill has been designed with your lifestyle in mind. The benefits of regular exercise cannot be overstated, and developing a high quality home fitness regimen can get you on the fast track to a healthy lifestyle. But not everybody has the necessary space to accommodate a state of-the-art fitness machine in their homes. Now you don't need to have a dedicated workout room in your home in order to have the necessary space for a top cardio workout machine. When you're ready to run, the Endurance Cardio TF6i Folding Treadmill is ready to roll. 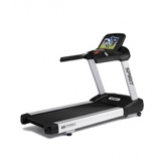 With all the top features of our finest treadmills, including heart rate control, the Endurance TF6i makes an ideal choice for people serious about there workouts, yet challenged by their available indoor space.